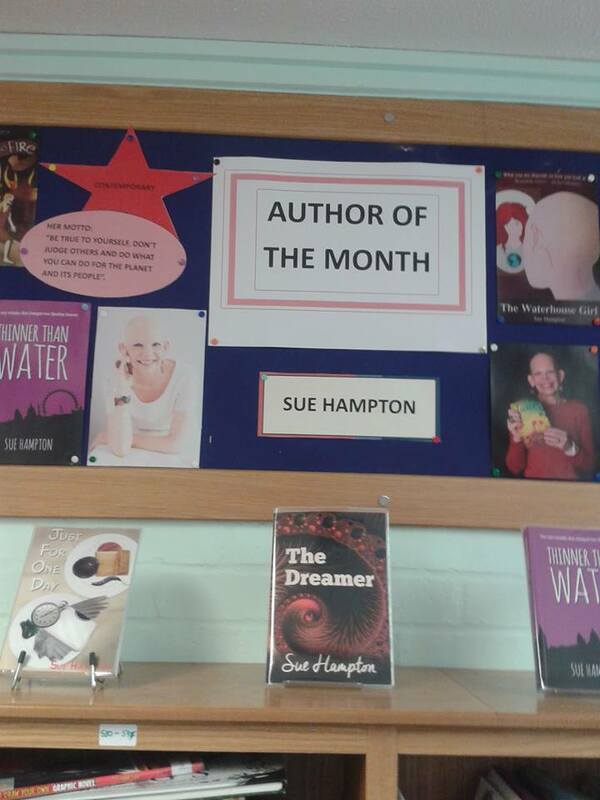 If you’re a young Sue Hampton reader, or an adult short of time, here’s a quick introduction to me and my work. · I have more than 30 titles for children, teenagers and adults and write many different kinds of story. This is possible because I have six publishers. · I used to be a teacher and love being booked by schools as an author who inspires students to read and write. · Whether my stories are set in the past, present or future, and whatever the genre, they’re always led by the characters. · I lost all my hair back in 1981 to a condition called alopecia universalis. 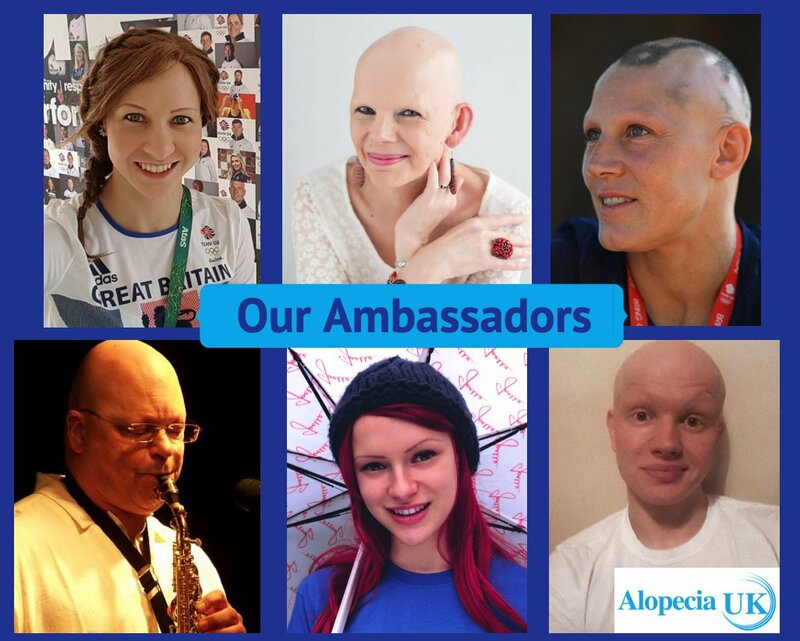 · Because of my book, THE WATERHOUSE GIRL, I’m an Ambassador for the charity Alopecia UK along with remarkable people like Olympian Joanna Rowsell-Shand. 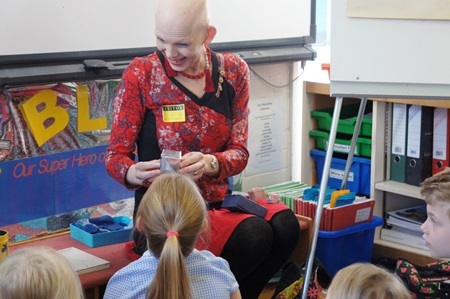 · I sometimes go to schools to support a student who has alopecia too, and that feels very special. 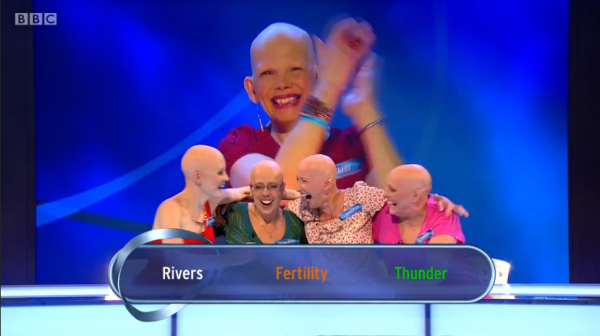 · In March 2016 I made the news as captain of a team of fabulous bareheaded women when we won £29,000 for Alopecia UK on the BBC2 quiz show Eggheads. 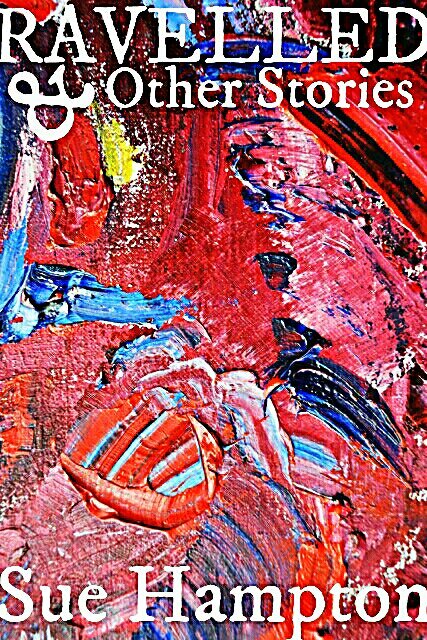 · I call imagination our human superpower. I believe that stories can change us on the inside, and make us better people. I’m the author of more than thirty titles now, for all ages and across most genres. That’s only been possible because I have six publishers (if you count ARIA, an e-book and audio-book for grown-ups with Create). Like many authors writing (mainly) for young readers, I used to teach. Now I love visiting schools of all kinds, as an author – and the irrefutable, living proof of the power of stories. 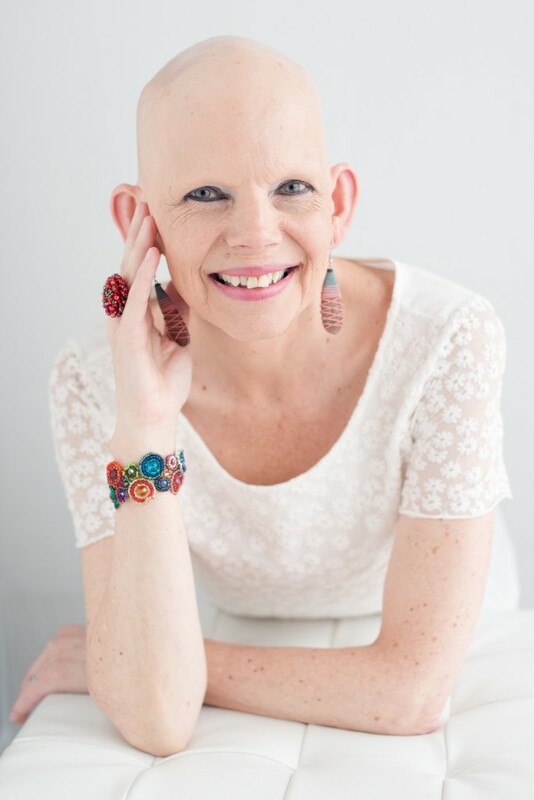 I’m also an Ambassador for Alopecia UK, a role dear to my heart as this is a fantastic small charity doing great work to support people of all ages with an odd and challenging condition. It’s not easy to make a living as an author in a book world that can be cruel and is certainly ruled by the bottom line. 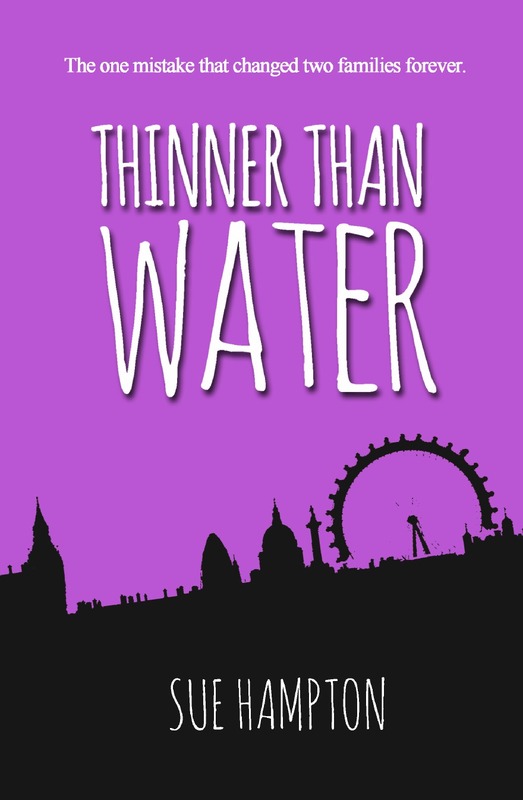 In an hour’s audience a few years ago with the Children’s Fiction Editor at the biggest publisher in the country I was told, in the end, that my range was very impressive but they “wouldn’t know how to brand me.” I don’t, of course, want to be branded. I write in different styles exploring different kinds of story – dark and light, funny and very serious, historical and futuristic as well as contemporary – because that’s fun, and exciting. I’d hate to be limited to the same genre or audience or even keep revisiting the same characters. Teachers often remark on my breadth and speak of visits by authors whose narrowness excluded many children or limited the learning experience. I like to think I have stories for everyone, I’m doing what I love and of course I’m learning all the time. So my collection of short stories, RAVELLED, published in autumn of 2016, was a new challenge and one I found very rewarding. When I was a primary school teacher I was often frustrated by children’s fiction because when I looked for an example of a particular kind of complex sentence in the books in my classroom collection, I couldn’t find one. I had to write my own. I now understand that publishers looking for big sales demand accessibility and that in many cases editors will have stripped back an author’s style for simplicity. 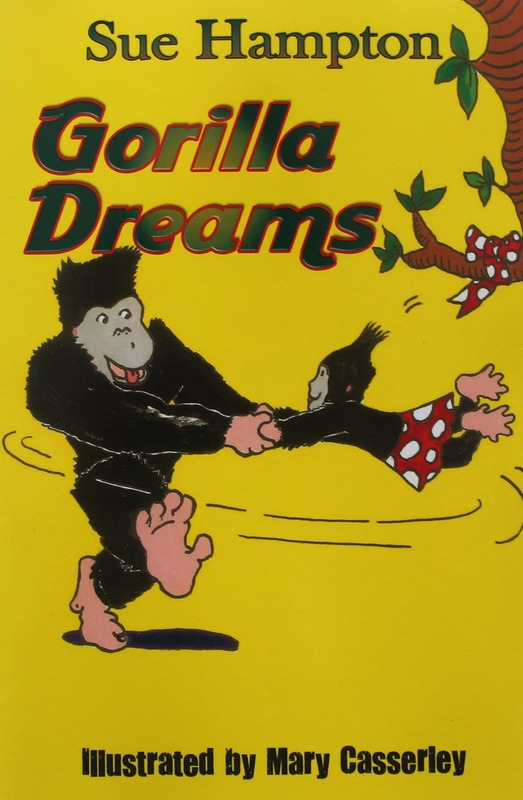 In the early days my writing was dismissed as too literary and I rebelled, refusing to dumb down, but now I can adapt to different audiences, and I’ve learned that if I write about a gorilla carrying younger friends under his arms like baguettes, some readers won’t know what I mean even if they can read the word. In TRACES there’s a sentence that’s 52 words long, and it has its own flow and feel; it works and I love it! HEADCASES is made up of punchy sentences, many of them simple but vivid, because the story is cartoon-like. 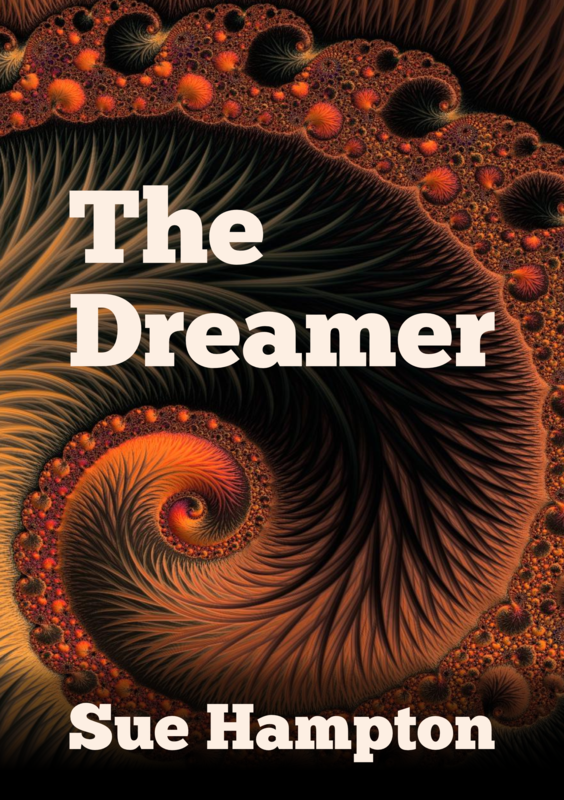 One of my greatest joys as a writer is imagery, which can be knockabout, lyrical or dark, and which should always lift the reader, ideally offering a surprise because it feels new. It can make a funny story wilder and more exuberant but it can also add depth in a real-world novel where it carries emotion. Teachers sometimes say a book like THE LINCOLN IMP delivers as a model for presenting a character and setting. That wasn’t conscious but is inevitable. My objective, however, is to write as well as possible, showing what language can do and creating characters that feel real. The book world loves bandwagons and I give them a swerve! Children notice and many approve because they’ve had enough vampires, wizards and dark forces. One reader wrote, “I love the way you avoid stereotypes” because my girls are often strong and independent-minded and my boys can be emotionally intelligent! It’s true that my characters come to me, almost complete. I see them, hear their voices and understand their feelings. All I have to do before I begin their story is draw up a diagram that explores their history, passions and needs, and plots their key relationships. So begins a book, and the characters lead. It’s an organic rather than a plot-driven way of storytelling, but of course plenty happens, naturally. HUE AND CRY, THE JUDAS DEER and LAP OF THE GODS have very complex plots, with many threads that had to be worked through to the end, but I hope it’s the characters that linger when those intricacies are forgotten. I choose deep, timeless themes: love, courage, freedom, respect and understanding, individuality and difference, forgiveness, greed, cruelty and power. Like Michael Morpurgo I explore the real world, and that can be dark and sad, but as in his stories there’s always hope. Whether I’m writing for children, or YA or adult novels, I’m always me, of course, and my ideas and ideals underpin everything along with my life experience, so there may be an ‘essence of Sue’ that connects a romp like FRANK (Bronze, Wishing Shelf Award 2013) not only with the emotional, school-centred JUST FOR ONE DAY (“terrific” Michael Morpurgo) but with the speculative YA START (“a bucket of iced water over the head”) and my adult novel with Magic Oxygen, FLASHBACK AND PURPLE. I hope so, because the author’s voice goes deeper than content and comes from heart and soul. It explains the connection between writer and reader, which I feel myself with George Eliot and Carol Shields as well as my hero Morpurgo, who moves and inspired me. See my Facebook author page and join. Authors are often asked where they write. 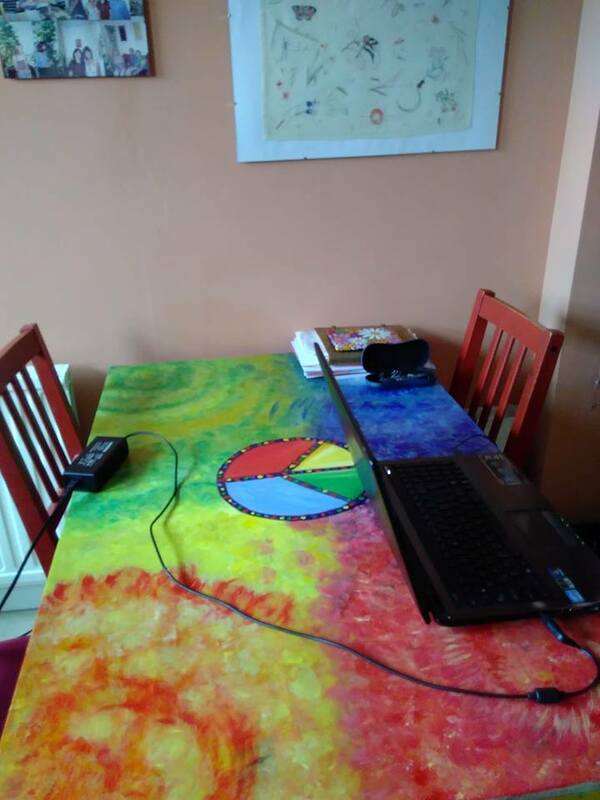 Here’s my kitchen and my painted table.